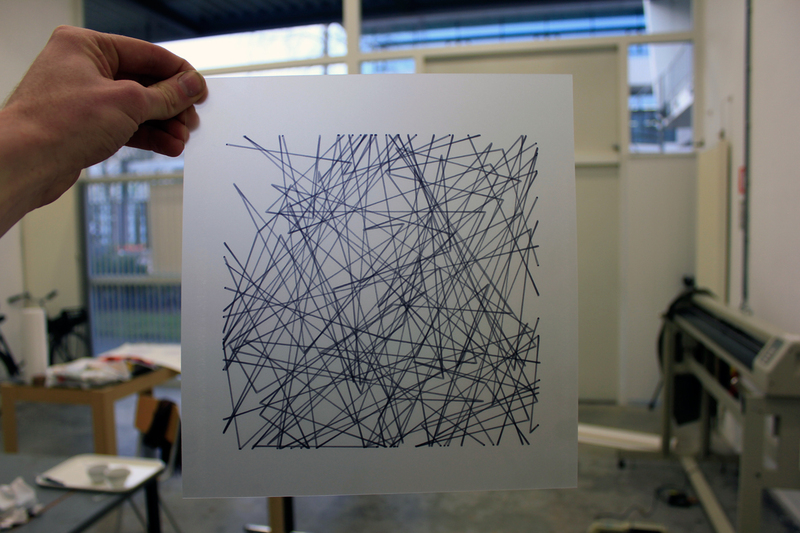 I was curious to see a direct translation of my pen plot drawings into a screen print. I wanted to see whether the transformation of medium has effect on the expression of the lines and whether the result becomes more rich than the original drawing. 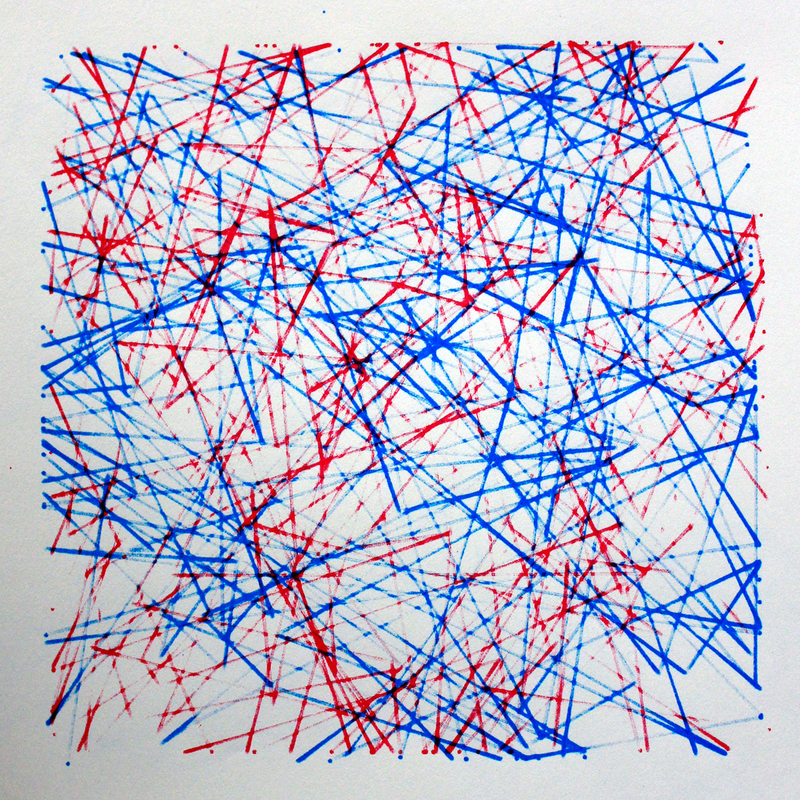 For this new screen printing experiment I wrote an algorithm that draws a random amount of lines at a random place within a given boundary, in this case a square. When executed the algorithm results in a random mesh of black lines, altogether forming a square. 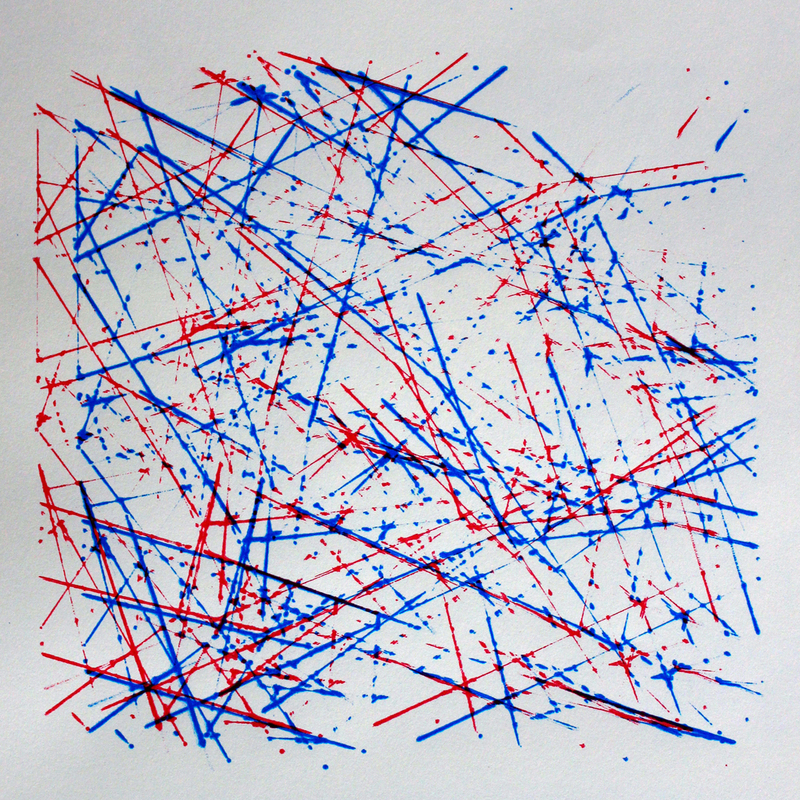 The image is printed with a pen plotter on a transparent medium so it can later be transferred onto a silkscreen with the use of a photographic technique. 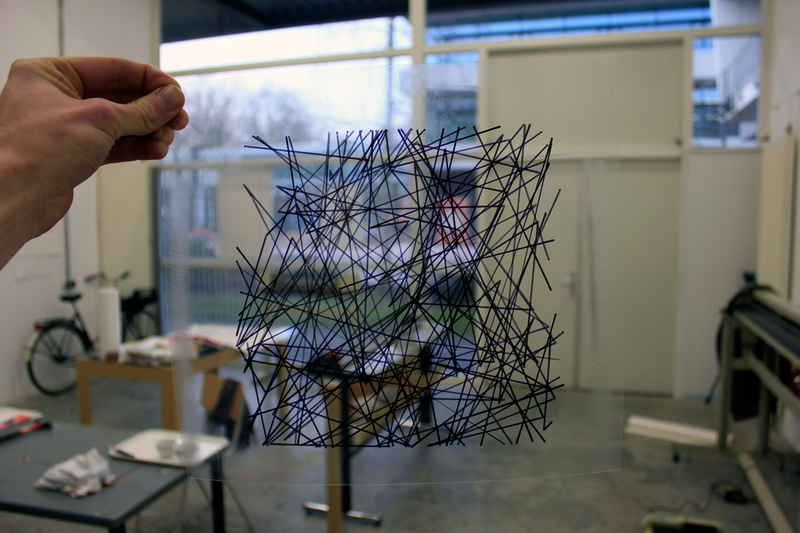 Two types of transparent media are available at Grafisch Atelier Daglicht: a fully transparent PVC film and a semitransparent Macro film. I tested both films because they should show a different effect: the PVC film shows a black and white image and the Macro film shows grey tones. 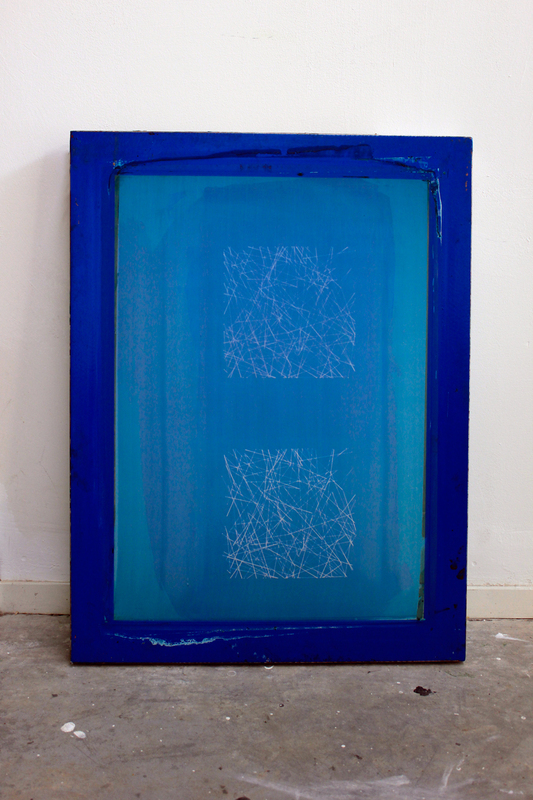 When the drawings were transferred onto the silkscreen the difference was very well visible. The PVC film showed very clear lines and the Macro film showed very soft lines, maybe too soft. When printed on the paper, however, the Macro film print gave a much better result! 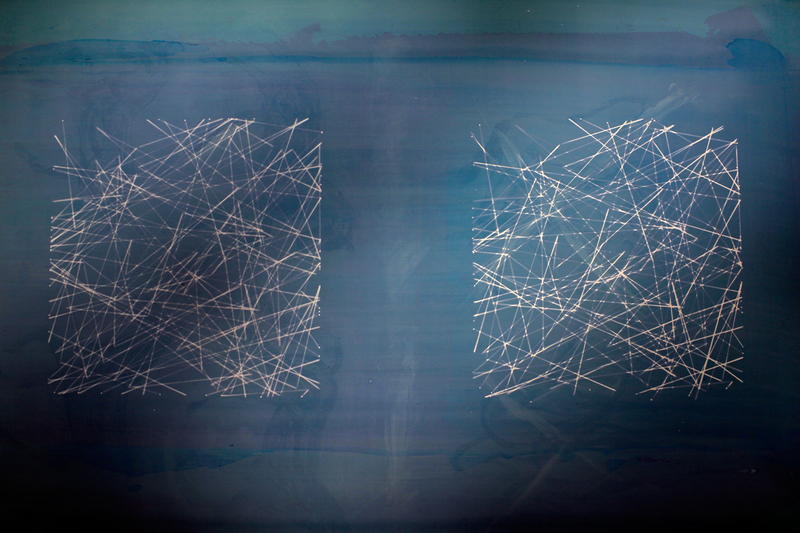 The PVC film print showed interrupted lines which disturbed the image. Sometimes your gut feeling can trick you, it's always good to test several options. In general the prints did not satisfy me, screen printing these images did not add a certain quality to the prints. 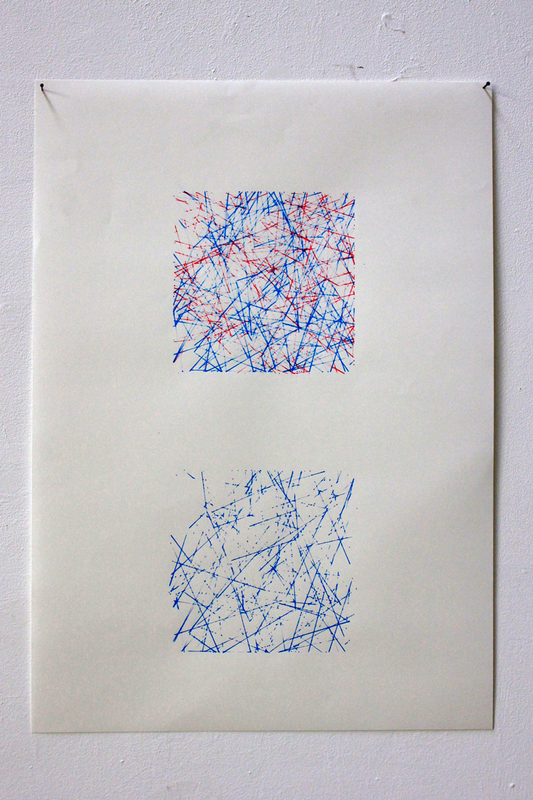 Why would I screen print these drawings when pen plotting is already a reproductive drawing technique? Time for another experiment!